Occasional anxiety is a normal part of living but when it becomes chronic and/or begins to interfere with your daily life, it may be time to get some support. Some people are reluctant to turn to the medical community for help because they do not want a prescription medication that may cause dependence or side effects. Understandable. Below are ten natural remedies for treating anxiety. Homeopathy works on the principle “like cures like”. Highly diluted substances of what would cause symptoms in a healthy person are given to treat the symptoms of the ailing person. Though homeopathy eludes scientific explanation, quantum physics is moving toward shedding light on just how it works. It has been used effectively for over 200 years. Ignatia Amara is a homeopathic remedy I have been using with great success for many years. My naturopath prescribed it to me. When first trying homeopathy, I recommend consulting a naturopath first to find the correct dosing for your individual needs. Valerian is an all-natural herb that helps calm the body and mind when taken in its prescribed dosage. It is commonly used for insomnia but also works well for anxiety. I have been using this remedy for years with great success. Magnesium is vital to 300 of the body’s enzymatic reactions. One of the symptoms of a magnesium deficiency is anxiety and tendency to startle easily. Ironically, cortisol, the body’s stress hormone, causes magnesium depletion. Magnesium occurs naturally in foods such as: chicken, green, leafy vegetables, oats, cocoa, nuts and seeds and whole grains. If you choose to take a magnesium supplement, take chelated magnesium as it is best absorbed by the body. Flower essence work to heal the body on an energetic level, much like homeopathy. Aspen, rock rose, and agrimony are helpful in relieving anxiety. Flower essences, as with homeopathy, work on an individual’s energy. I recommend experimenting with them slowly, one at a time, to see what works best for your individual needs. 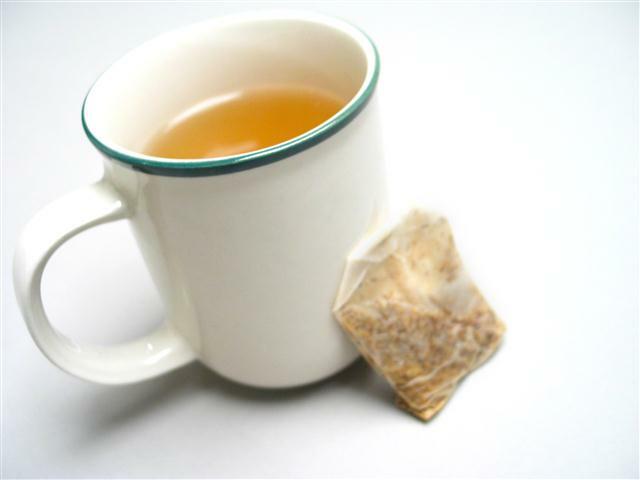 A nice cup of chamomile tea is helpful to calm the mind before bedtime and is also used in the treatment of anxiety. For a little more potency, chamomile can be taken as a tincture or in capsule form. If you are allergic to plants in the daisy family, have a bleeding disorder or taking medications that would increase the risk of bleeding or if you are pregnant or nursing, do not use chamomile. Common side effects are drowsiness when combined with other sedatives. Take caution if you are on medication for diabetes or high blood pressure. Since niacin, or vitamin B3 is responsible for supporting the neurotransmission system of the brain, deficiencies in this vitamin has been linked to anxiety & depression. Foods such as salmon, chicken, red meat, tuna, milk products and mushrooms contain natural niacin. You could also choose to supplement your diet with B3 in capsule or liquid form. A common side effect of niacin is flushing if used in high doses. Writing may seem like an odd ‘natural remedy’ for anxiety but it helps. If your worry comes from too much to do or financial or business concerns, getting your thoughts organized with a list is a great stress buster! Try this: write your worries on the left side of the page under ‘Stress’ and on the right side, under ‘Busters’ write down a possible solution to your problems. Having a plan of action creates feelings of empowerment, which can greatly reduce your anxiety. When you read the word ‘meditation’ visions of silent monks crunched up into uncomfortable positions for hours may be the first thing that comes to mind. Meditation is simply a way of quieting the thoughts. Try this: find a comfortable chair in a place where you will be uninterrupted for at least twenty minutes. Close your eyes and settle back. Breathe deeply in and out through your nose 5-10 times and then, just let your breathing return to its natural rhythm and allow your thoughts to drift. Sometimes it is helpful to concentrate on a mantra, just one or two words to help clear the mind such as: “peace” or “calm”. Just ten to twenty minutes a day can work wonders! When you work out, your body releases natural endorphins called serotonin, which give you an instant mood lift and help release “nervous tension”. You don’t have to join a gym either; a brisk walk or hike, dancing to your favorite music while pumping 2 lb weights or even vigorous housecleaning can give you just the boost you need to release stress. Note: If your anxiety is related to a recent or past trauma and/or the above steps do not make a significant improvement in your mood and well being, it is a good idea to consult a qualified therapist who may have additional suggestions for healing from panic and anxiety. If, at any time, you have thoughts of harming yourself or others, call a crisis center immediately. Click the link below for a suicide hotline. I have first-hand experience with anxiety and some of the above natural remedies have worked wonders in my life. I hope they will in yours too. For more information on how to heal your body naturally, visit: www.itoldyouiwassick.com.